Just as no one can figure out why Chipotle can’t stop its food-poisoning outbreaks, no one is sure what the hell the cause of its latest outbreak at that Ohio location is. Not as in the origin, but as in what is making people sick in the first place. Over 700 inquiries have been filed with the local health authorities in Delaware County, Ohio, and after more than 500 interviews and several stool samples, they … have no leads. Tests have come back negative for the usual suspects, including salmonella, shigella, E. coli, and norovirus. Could it possibly be a new bug? Maybe it’s a germ that aliens sent to Earth to kill us all through our burrito habits, and our civilization will soon collapse? Really, anything is possible at this point. A spokesperson for the Delaware County General Health District says that leftover food is still being tested, and maybe that will answer the question. 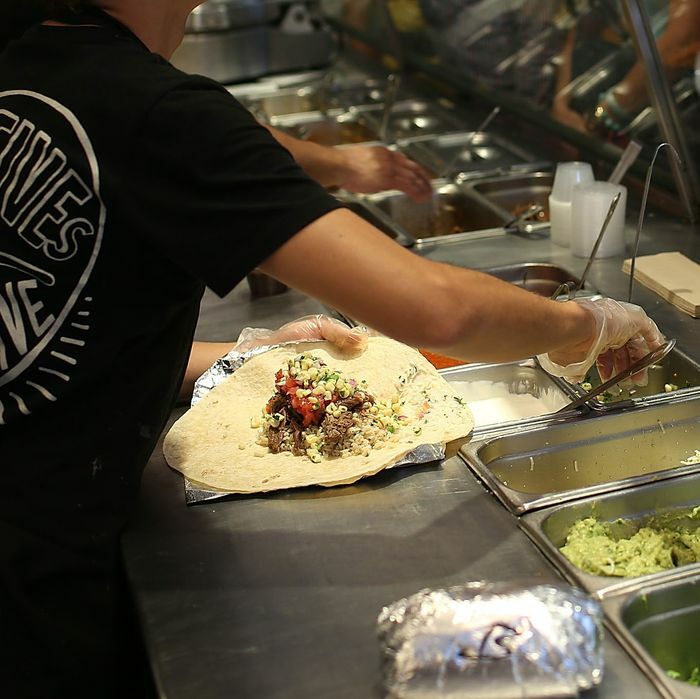 (You might remember that back in 2016, the CDC couldn’t pinpoint the cause of Chipotle’s nine-state E. coli outbreak.) Given that this is a mystery and the chain’s seventh outbreak in the last few years, you can’t help but look at it as more evidence that the fast-food industry is, well, pretty gross.